SanDiegoVille: Celebrate Halloween at These Nine Delicious San Diego Spots! Celebrate Halloween at These Nine Delicious San Diego Spots! “When witches go riding, and black cats are seen…the moon laughs and whispers, ‘tis near Halloween…” No one knows who said that famous 19th century quote, but fast-forward to Halloween 2014 with our list of haunted happenings from San Diego’s bars and restaurants! Check them out and make your Halloween spooky in a delicious way with these trickless treats! RA Sushi’s Boo Bash is back! But this time, it’s an all-day event. 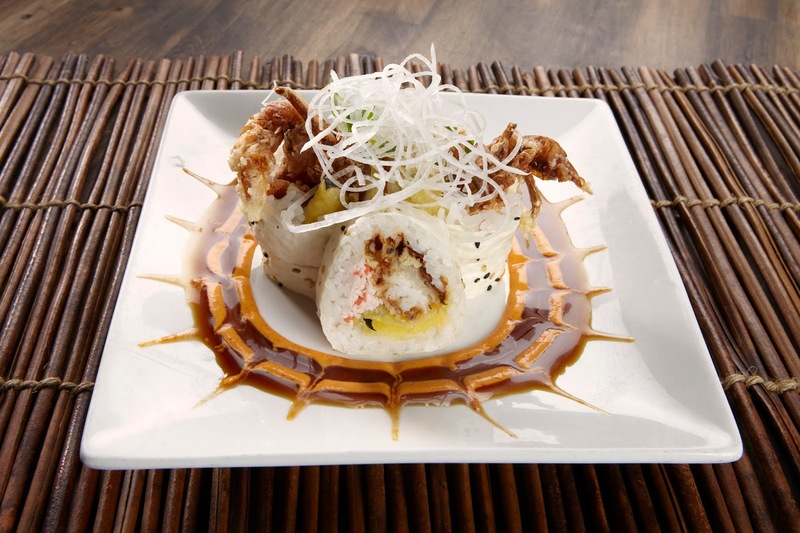 Beginning at 11am on Oct. 31, sink your teeth into bites like the Black Widow Roll, made with crispy soft shell crab, kaiware sprouts, kani kama crab mix rolled in rice and soy paper, then topped with shredded daikon, spicy mayo and eel sauce. Spellbinding sippers like the Frozen Black Lagoon, a spine tingling mix of sparkling white wines, Bacardi Rum, yuzu, and peach and strawberry purées will also make an appearance. Those dressed to kill will have the opportunity to win some serious treats, including RA gift certificates, and guests dying to dance will have haunting melodies to rock to all night. For pumpkin dishes with Mexican flair, Hillcrest’s Ortega’s, A Mexican Bistro has all guests. Carnivores will love the Chicken Pippian, a boneless grilled chicken breast topped with a mole-like pumpkin seed pippian sauce, when dining during dinner. Those who don’t consume meat will enjoy the Vegetarian Burrito during lunch or dinner. Pumpkin and black bean puree is wrapped in a large fresh home-made flour tortilla with poblano chiles, potatoes, avocado, pico de gallo and jack cheese and served with vegetarian black beans. It’s that time of the year to get your creative juices flowing and get your freak on with Uptown Tavern. On Friday, October 31, Hillcrest’s Uptown Tavern guarantees a night that’s nothing short of fun, freaky and everything in between. Come in your most creative, brilliant costume for their ‘Best Costume Contest’, with prizes up to $700. DJ Tone Capone will be taking the stage and we’re having drink specials all night. We all know breakfast is the most important meal of the day. 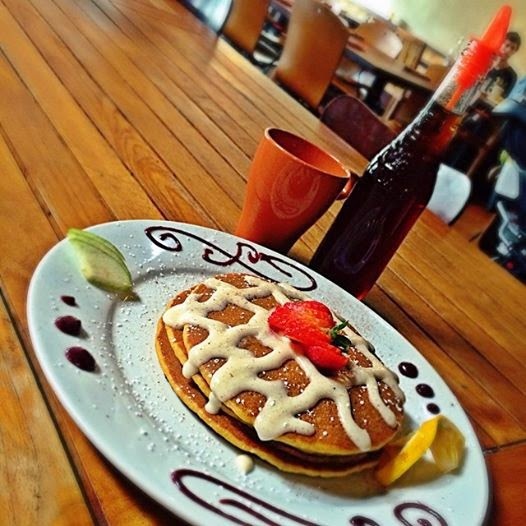 Get an early start on Halloween with the help of PB’s Isabel’s Cantina and eat your pumpkin with Pumpkin Pancakes drizzled with a cream cheese frosting and topped with a light dusting of powdered sugar. If pancakes aren’t your thing, Isabel’s Mexican Chopped Salad can also help with that pumpkin fix. Greens and chopped romaine lettuce are tossed in a cumin vinaigrette and topped with radishes, cucumber, chipotle-corn salsa and pumpkin seeds. From October 27 to November 1, stop by the Hillcrest and the downtown Lotus Thai locations for two Halloween specials that include pumpkin. 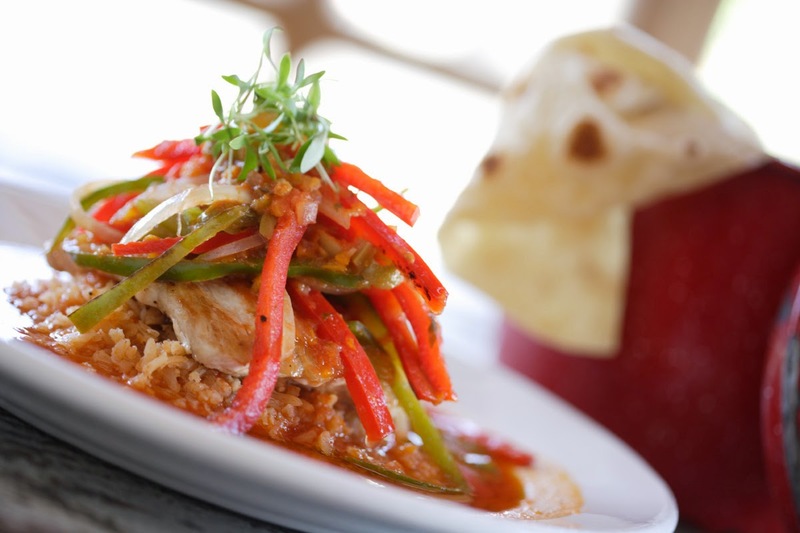 For a fall versions of Thai favorites, order the Pumpkin Chicken Curry as a $6 special main course or end the meal on a sweet note with Pumpkin Custard Sticky Rice for only $4. Compliment the meal with refreshing $2 Lychee Martini shots. Served all-day during Halloween week, you won’t want to miss these unique dishes. Feeling like a more traditional Thai dish? Just dine-in wearing your Halloween costume for 20% off. Please note, specials may not be combined. 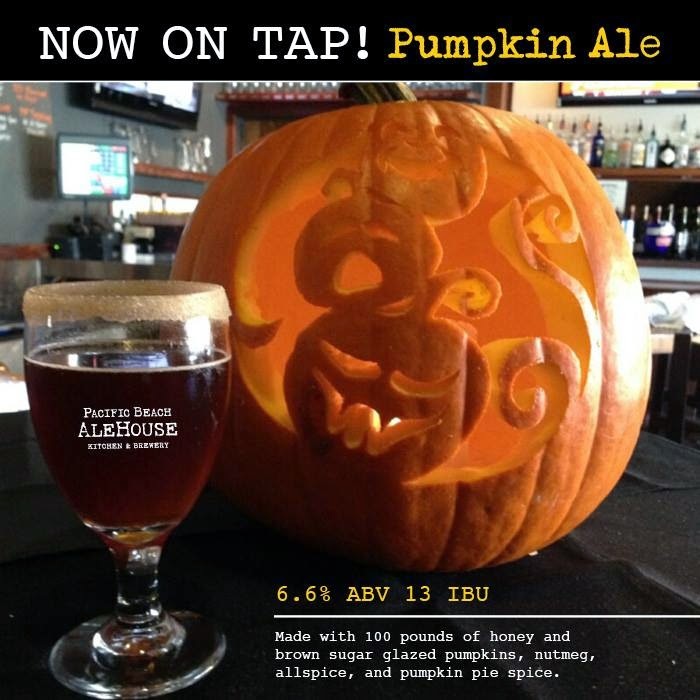 Pacific Beach AleHouse can help diners drink their pumpkin this Halloween with AleHouse’s seasonally in-house brewed Pumpkin Ale. The PB AleHouse team carved more than 100 pounds of pumpkins, roasted, smoked and rubbed ‘em with a honey and brown sugar glaze. The pumpkins were baked to seal in the sweet flavors and finally sent into mash with eight types of malt including crystal, honey and biscuit. Brewmaster Vince Falcone added a mixture of nutmeg, all-spice and pumpkin pie spice before ending the boiling process. The result is a pumpkin ale with a hint of spice, served fresh in a sugar-rimmed glass, that is only available until Thanksgiving. When science collides with horror this Halloween, even the creepiest of critters will run in fright. The new Zymology 21 lab in the Gaslamp is hosting a spooktacular week of scientific terror, culminating in a Mad Science Explosion on Hallows’ Eve night. As guests enter the lab, they will be greeted by exploding cocktails, steaming Bunsen burners and walls lined with jars of actively fermenting crawlers. Those who dare to sample the wares can feast on gooey frog legs, real bugs dipped in chocolate fondue and pumpkin Mai Tais or lychee eyeball cocktails and served in beakers and test tubes. From October 24-31, any ghoul or gal who enters the bar dressed as a mad scientist will receive a free Shrub Mimosa, in the fermented flavor of their choosing. The spirit of legendary schooner boat captain Spike Africa will be alive and well as part of his namesake restaurant’s “Spike-tacular” Halloween Bash. With all hands on deck, Spike Africa's will offer a ghoulish twist on some of their most popular dishes and themed drink specials from the mad scientists behind their bar. For those with the soul for getting down, live music will play until the midnight hour closes in. Spike Africa's cover-free event starts at 4pm on Oct. 31. 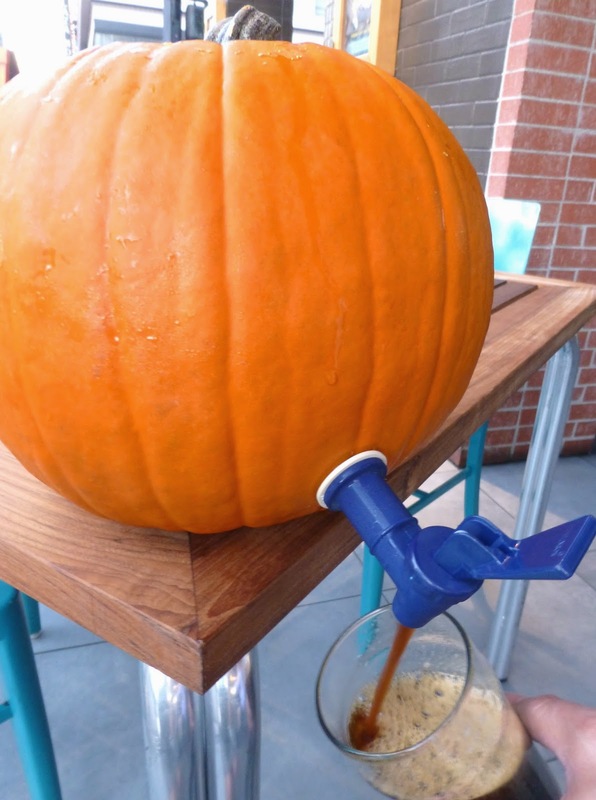 Spike Africa's will also have pumpkin kegs filled with BNS Brewing & Distilling Co. Jackyl Pumpkin Pie Pale Ale. The kegs will be $28 on Friday and Saturday night, and will hold enough for 6 beers. Things are getting ghoulish at Bake Sale Bakery, located in the heart of East Village. Owner, Terryl Gavre, and Bake Sale’s head baker, Kathleen Shen have created a variety of spook-tacular treats available during Halloween week. Even scaredy-cats love cookies, but only the brave will try a boo-kie! These ghostly treats are created with a house-made marshmallow on a chocolate cookie and are priced at $2.75 each. Bake Sale’s Halloween treat brownies are topped with trick-or-treater’s candy favorites and are $4.25 per brownie. Sweet and flaky mummy pop tarts, made from scratch with pie dough and homemade strawberry jam, are also available for $3.75 each and the pumpkin seed brittle, a sweet-and-salty autumn take on a classic, is priced at $3.95 per bag.